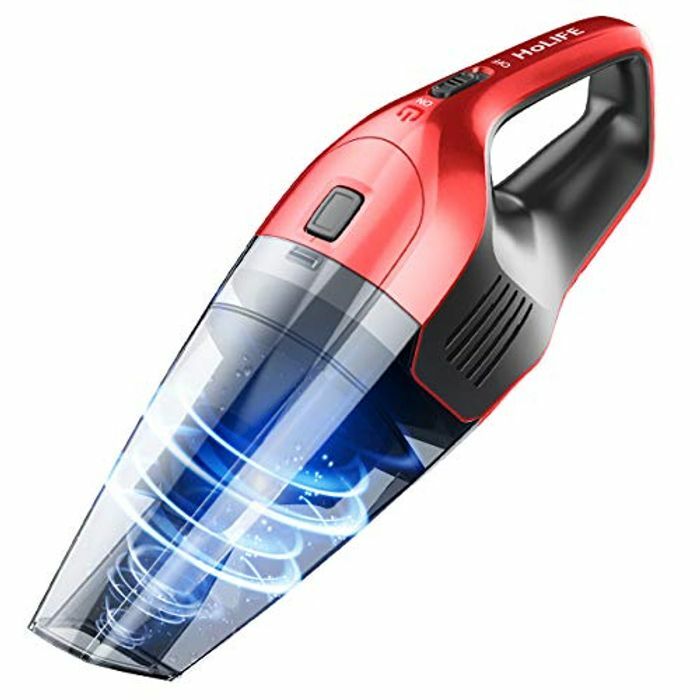 Holife 2nd Gen Handheld Cordless Cleaner, 14.8V 100W 6K Pa Strong Cyclonic Suction Portable Rechargeable Hand Held VAC, Wet Dry Vacuum with Lithium and Quick Charge Tech for Home. There's also this handheld vacuum, no idea what it's like but it's just over £30. "Save 35% each on Discount for Holife upright vacuum cleaner offered by XIERORY when you purchase 1 or more. Enter code 6D6738VO at checkout."